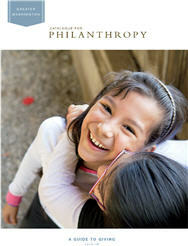 Washington-Jan. 7, 2019: The Catalogue for Philanthropy: Greater Washington, which is beginning its 16th year as the only locally-focused guide to giving, is growing its efforts to help the entire nonprofit community, no matter the size or location of the organization. The Catalogue is launching the online Learning Commons to further its belief in the power of nonprofits and the need to invest in effective professional development in order to increase their impact. The online Learning Commons builds on the Catalogue’s existing in-person training sessions for nonprofit leaders. The web-enabled version is a capacity building and professional development program that covers five core topics important to nonprofit management: Board Development, Communications, Development, Program Evaluation and Volunteer Management. This entry was posted in Uncategorized by Catalogue for Philanthropy. Bookmark the permalink.